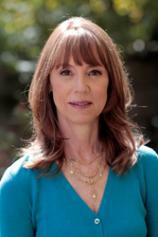 Lisa See is the New York Times bestselling author of THE ISLAND OF SEA WOMEN, THE TEA GIRL OF HUMMINGBIRD LANE, SNOW FLOWER AND THE SECRET FAN, PEONY IN LOVE, SHANGHAI GIRLS, CHINA DOLLS and DREAMS OF JOY, which debuted at #1. She is also the author of ON GOLD MOUNTAIN, which tells the story of her Chinese American family’s settlement in Los Angeles. See was the recipient of the Golden Spike Award from the Chinese Historical Association of Southern California and the History Maker’s Award from the Chinese American Museum. She was also named National Woman of the Year by the Organization of Chinese American Women. Mi-ja and Young-sook, two girls living on the Korean island of Jeju, are best friends who come from very different backgrounds. When they are old enough, they begin working in the sea with their village’s all-female diving collective, led by Young-sook’s mother. As the girls take up their positions as baby divers, they know they are beginning a life of excitement and responsibility but also danger. Little do they know that after surviving hundreds of dives and developing the closest of bonds, forces outside their control will push their friendship to the breaking point. In their remote mountain village, Li-yan and her family align their lives around the seasons and the farming of tea. For the Akha people, life goes on as it has for generations --- until a stranger appears at the village gate. Slowly, Li-yan begins to reject the customs that shaped her early life. When she has a baby out of wedlock, she rejects the tradition that would compel her to give the child over to be killed, and instead leaves her near an orphanage. Despite being raised by loving adoptive parents, Li-yan’s daughter, Haley, wonders about her origins. Across the ocean Li-yan longs for her lost daughter. Over the course of years, each searches for meaning in the study of Pu’er, the tea that has shaped their family’s destiny for centuries. Li-yan and her family align their lives around the seasons and the farming of tea. There is ritual and routine, and it has been ever thus for generations. When Li-yan has a baby outside of wedlock, rather than stand by tradition, she wraps her daughter in a blanket and abandons her in the nearest city. While Li-yan slowly emerges from the insularity of her village to encounter modern life, her daughter Haley grows up a privileged and well-loved California girl. Despite Haley’s happy home life, she wonders about her origins, and Li-yan longs for her lost daughter. They both search for and find answers in the tea that has shaped their family’s destiny for generations. Grace, Helen and Ruby, three young women from very different backgrounds, meet by chance at the exclusive and glamorous Forbidden City nightclub in 1938 San Francisco. They become fast friends, relying on one another through unexpected challenges and shifting fortunes. But after the Japanese attack Pearl Harbor, paranoia and suspicion threaten to destroy their lives, and a shocking act of betrayal changes everything. In DREAMS OF JOY, Lisa See returns to the story of sisters Pearl and May from SHANGHAI GIRLS, and Pearl’s strong-willed 19-year-old daughter Joy, who runs away to Shanghai in early 1957 to find her birth father. At its heart, Lisa See's latest novel is a story of sisters: Pearl and May are inseparable best friends, who share hopes, dreams and a deep connection. But like sisters everywhere, they know exactly where to drive the knife so that it hurts the most --- which also makes it a tale of terrible sacrifices, impossible choices and one devastating secret. In nineteenth-century China, seven-year-old Lily is paired with a laotong, "old same," in an emotional match that will last a lifetime. They communicate in a secret written language, and together they endure the agony of foot-binding, and reflect upon their arranged marriages, shared loneliness, and the joys and tragedies of motherhood --- until a misunderstanding arises and threatens to tear apart.